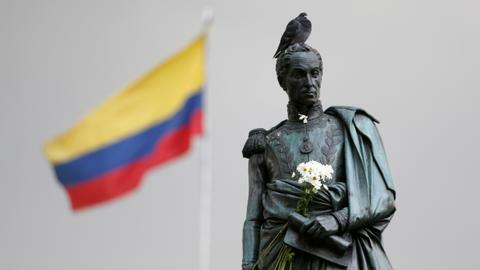 Is Colombia's historic peace deal with FARC on the rocks? The march follows a deadly car bombing at a Bogota police academy attributed to rebels of the National Liberation Army that killed 21 people and left dozens wounded. 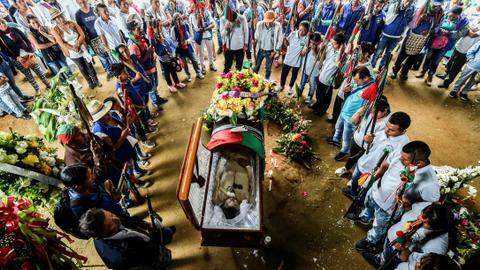 Thousands of people marched in Colombia on Sunday to condemn the deadly car bombing that killed 20 police academy cadets and the alleged attacker, in a strike blamed on National Liberation Army rebels that derailed peace talks. The protest was held in several cities around the country, with marchers in white waving Colombian flags and chanting slogans like "cowardly killers" and "life is sacred." "We are demonstrating to reject all forms of violence – against the police or social leaders," Yeison Torres, a 19-year-old university student, told AFP. In Bogota, the day was scheduled to end with a religious service in memory of the victims, all between the ages of 17 and 22, killed on Thursday in the deadliest attack with explosives in the city since 2003. "A group that takes part in drug trafficking, kidnapping and blowing up oil pipelines is not showing signs that they want peace. Much less then, blowing up 20 young people?" said Amanda Ramirez, 49, a beauty salon worker. "I am really devastated. But I also want to come out and honor these heroes and honor their memory -- rejecting violence, rejecting terrorism and coming together as a country," said President Ivan Duque. 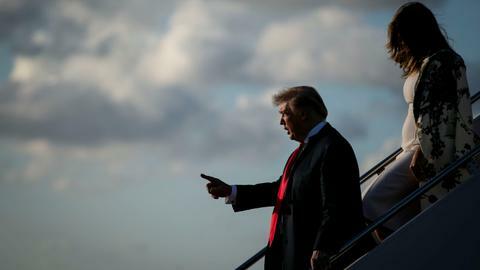 The president, who after the attack decided to cancel the peace talks started in 2017 by his predecessor, Nobel Peace Laureate Juan Manuel Santos, also invoked support to "overcome this threat." "Today, Colombia is telling you, the ELN, 'enough,' and no more terrorism. 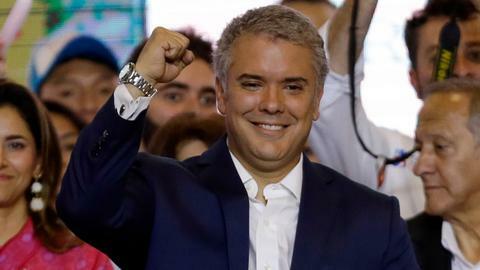 Colombia has come together to defeat this crime," Duque added. True to his election promises, Duque has taken a hard line against the National Liberation Army, including his demand they release all hostages as a prerequisite to kick-start the peace process. The group is believed to be holding at least 17 hostages.